Enate's service orchestration platform has a major release every quarter. The first major release - v2019.1.7 - is now live and includes some new features. 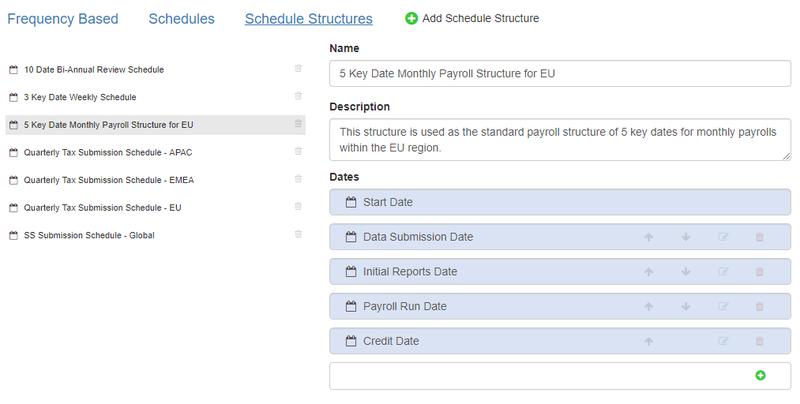 Create Schedule Structures in Builder consisting of a number of key dates, e.g. “Submission Deadline date”, “Initial report Date”, “Credit Date” etc. Create multiple individual Schedules of dates against one of these structures. Setting Step due dates which refer to the dates in the schedule (including offsets). Referencing Due date rules for the Actions and the Case. At runtime: Be able to link a running Case work item to a schedule, and to reference a schedule if launching a Case as part of Rework. 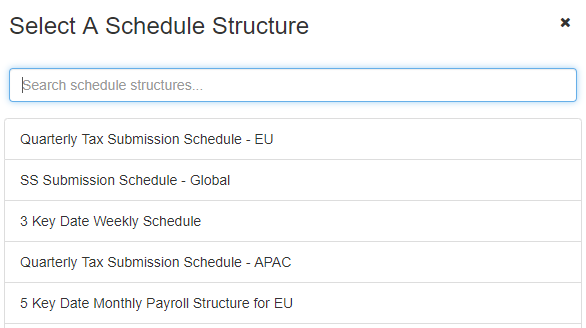 On the ‘Schedule Structures’ tab in the Schedules section of Builder, you can view all previously created schedule structures and add new ones. When adding a new Schedule structure you must define a name, can give it a description, and then define the dates which will be used (i.e. the structure of key dates throughout that period). ‘Start Date’ is always defined, as this is needed in order for the system to know when to start any cases using this schedule structure. Clicking on the ‘Add Schedule’ link will bring up a popup where you select the Schedule structure to be used (with a search function to help filter down). After choosing your desired schedule structure, you can define a name and description, then add as many sets of dates for as many periods as you desire. Add a row and then define dates for the periods as desired. The first setting to make is to go to the Case level settings within a Case flow screen in Builder and select the desired schedule from the ‘Schedule’ dropdown in the Case Info Screen. The next activity available is to link the Steps of the Case process so they reference one of the dates in the Schedule. The links for this are available in the steps running along the top of the step flow diagram. 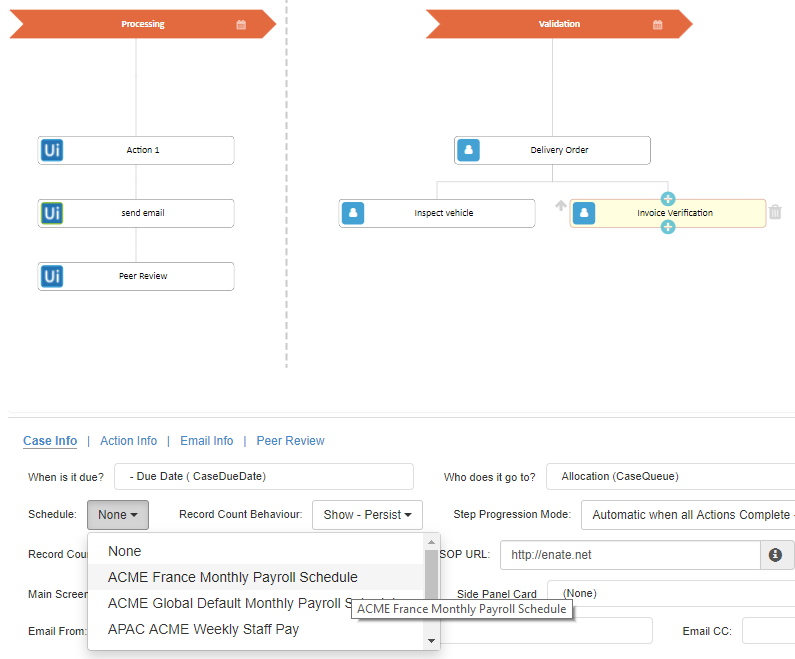 When defining a new Due Date option, you can select a due Date Method of ‘from Explicit Schedule Date’, and then select which of the schedule dates you wish to reference. Read more about the release.